New Zealand is an incredible country offering a wealth of amazing things to see, do and experience. If you are travelling on a tight time schedule you may just choose to do only one of the islands ... however, both are equally worth the trip. 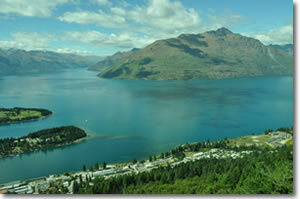 The South Island is renowned for its incredible scenery and is home to some of the world's best adventure experiences. 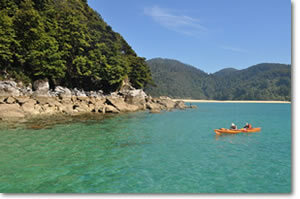 Whether its beauty, adventure or relaxation you are after, the South Island is the place for you! 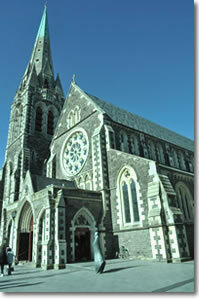 Christchurch is a city you will instantly fall in love with. Home to magnificent old buildings, stunning cathedrals and gorgeous tree-lined streets, there really is no better way to experience it than on foot. Take a walk to Cathedral Square where you will be blown away by the beauty and immensity of these timeless buildings. An architecture - lover's dream, this place is a must to bring your camera to. Alternatively, take a ride on the tram; a classic vehicle that will take you along the river's edge and past amazing old churches and superbly landscaped gardens. Easily one of the most scenic destinations on the South Island, Lake Tekapo is a visual masterpiece that photos simply cannot do any justice to. 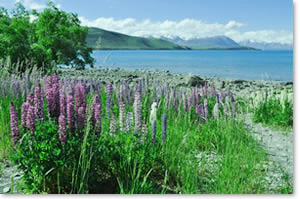 Its neighbor, Lake Pukaki, is just as astonishingly blue and is surrounded by Lupins (a New Zealand wildflower) that stretch for miles, creating a bed of bright contrasting colours. These dazzling lakes lead to the beautiful Mount Cook/Aoraki National Park; a place just as breathtaking as the drive into it. Capped or covered with snow practically all year round, its looming beauty will inspire awe inside of you that you never knew existed. Just outside the charming city of Dunedin, the Otago Peninsula is an absolute must while visiting the South Island of New Zealand. Jutting out an impressive 20 kilometres, this peninsula is home to some of the country's most incredible marine wildlife, dramatic scenery and glorious countryside. Be sure to take a penguin tour to get an up close view of the New Zealand Fur Seals, the Yellow-eyed Penguins and the Blue Penguins. This is the closest you're going to get and the admission price is worth every second. Fiordland National Park is a natural masterpiece and is home to an astonishing array of beautiful places to discover and explore. Milford Sound is usually at the top of the list for attractions in this National Park; and with good reason. Boasting breathtaking waterfalls, dramatic fiords and unique marine wildlife, a cruise up Milford Sound is an absolute must. Queenstown is regarded as the adventure capital of the world offering sky diving, bungee jumping, paragliding, white water rafting and much, much more. However, if extreme sports aren't really your thing, a visit to the Skyline Gondola will do just the trick. Ascend to the high reaches of a mountain top, where you will experience unsurpassed views of Coronet Peak, The Remarkables Mountain Range and Lake Wakatipu, while dining in either the restaurant or cafè.The lookout here is incredible and you could easily spend a few hours taking in the views. 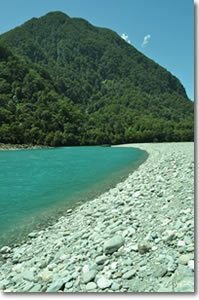 At least a whole day needs to be set aside to fully explore the remarkable Haast Pass. Located between Mount Aspiring National Park and Lake Wanaka, this magnificent stretch of road will expose you to some of New Zealand's best untouched scenery. The famous blue pools are a must-see along the way and will intrigue you with their pure colour that is so incredibly blue you have to look twice to make sure it's real. There are also some fantastic walks that lead to some gorgeous waterfalls that will further inspire awe and leave you breathless. 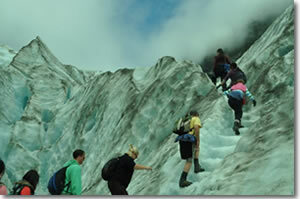 New Zealand boasts thousands of glaciers, but none are more famous than the Franz Josef Glacier. Offering an unforgettable experience, a Franz Josef hike will take you into the depths of this spectacular glacier, exposing you to dramatic chasms and exquisite peaks. This is an adventure you do NOT want to miss out on. The northern end of the South Island boasts indescribable beauty and is the perfect location to soak up some sun and uncover one of the world's most pristine stretches of coastline. Abel Tasman National Park is one of New Zealand's most beautiful, and a cruise up its coast allows you to discover untouched bays and encounter some of the country's most impressive collections of marine life. 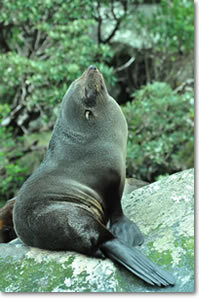 Seal Swim Kaikoura offers a wildlife experience like no other. Get up close to the beautiful New Zealand Fur Seals and snorkel beside them as they cheekily squabble and play around you. Although you can't touch them, they are literally close enough that you may as well be. 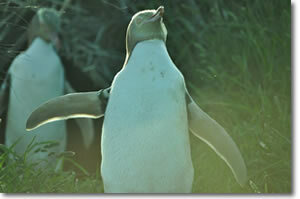 Perfect for nature and wildlife lovers, this is an experience you will remember for the rest of your life.